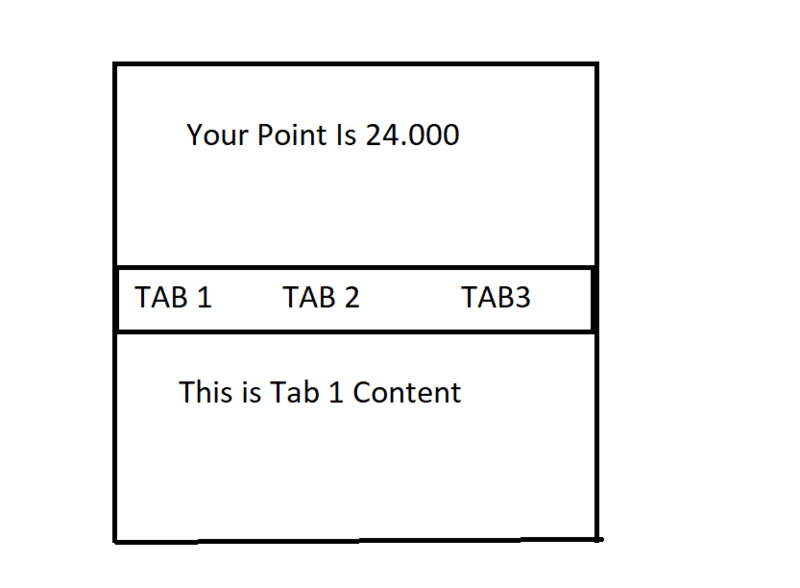 Can we add content Above tabbed page in xamarin forms? can i achieve this because i cant find any reference to do that ? first row will have stack panel with your Header ,second row can have your Tabbed Page. @Charwaka so you said we can make the tabbed page inside grid layout ? @Charwaka here is my full code and it doesnt work any suggestion here ? Yeah that won't work. A TabbedPage is a Page, not a View. You can try to roll your own tabs with a grid and use a TapGestureRecognizer to swap out content. @ChaseFlorell corect me if im wrong but xam is defined with this right xmlns:xam="clr-namespace:Xamarin.Forms;assembly=Xamarin.Forms.CarouselView" ? and i should install the nuget first, but how should i define foo ? is that namespace for the tabbed page or some nuget ? I called it foo just because. It indicates that you'd have your own reusable custom views within your own project. Yes, to do this I had to write a custom renderer.. that was 2 years ago. Today we use Telerik controls, and they have a 'tabbed' control. you'd just plug it in like any other view on the page. @JoseEveraldoAraujo How do you do that? The content in each SfTabView.Items never resizes properly if I have content before my SfTabView. Sounds like a bug, The Telerik one supports early binding scenarios. I'll report this to Syncfusion and see what they think about it. Not the first time I have problems with their SfTabView control.